This sweet little book brings me right back to my newborn haze, I couldn’t believe that my mind could actually be so fuzzy. Warning to first time expectant mothers, your brain will turn to mush, no matter how ‘together’ you usually are. This may be one of the simplest and most helpful ideas I have ever seen. 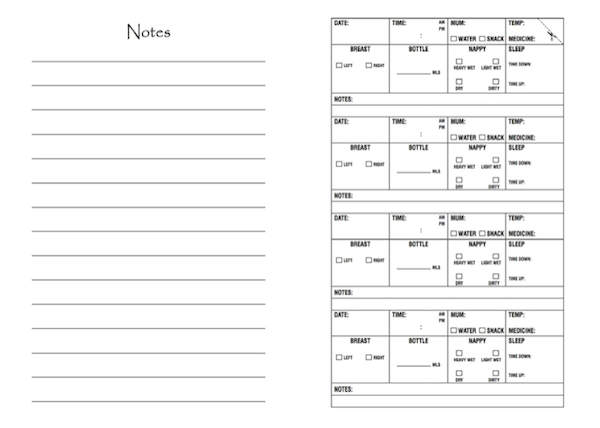 A paper (remember that stuff) log book for you to record your baby’s movements in. So relax and just follow the prompts. There is a section for time, date, feed, sleep, medicine, temperature and my favourite; a little box that reminds mums to snack and drink water. 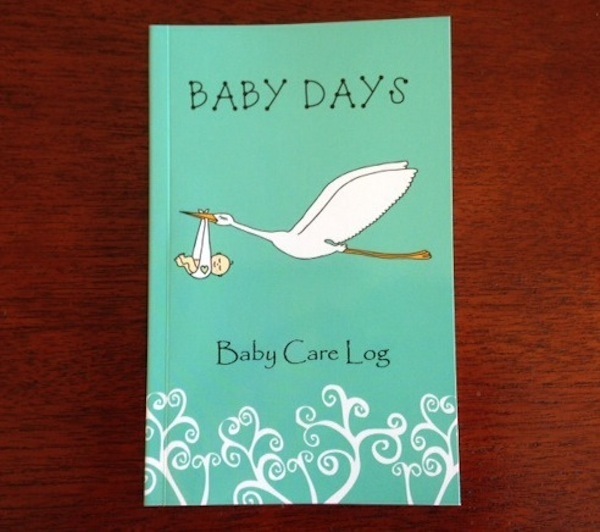 Baby Days think their log book is the way to go, above an app that performs similar tasks, because it is able to be left with the baby at all times, and doesn’t need charging, like a phone. It also means you can easily show it to the midwife. One of the other benefits it boasts above using a smart phone to record night feeds is that there is no temptation to jump on Facebook so you can focus on getting back to sleep quickly. The great news is it only costs $12 delivered. It is also a sweet little bit of history to slip into the baby book so when bub is looking back (most likely when they have a bub of their own) they can have a little insight into those first few months of their own life and appreciate how great mums are.